This private residence for an art collector was created from a former textile warehouse in a Conservation Area in Central London. 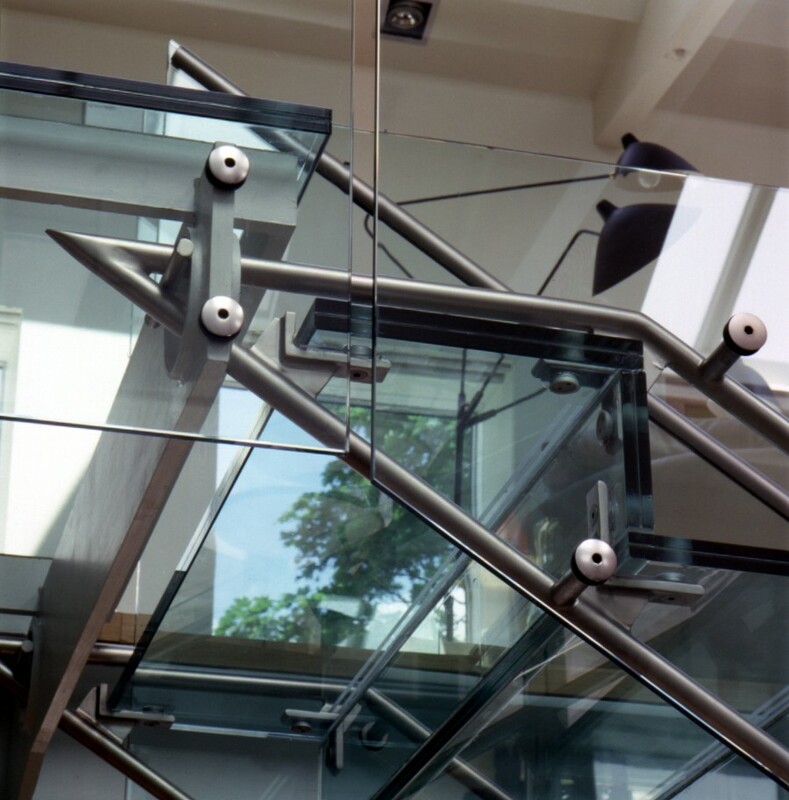 The building required extensive structural modification and remedial work to meet the client's demanding brief. This extensive refurbishment sought to maximise the sense of space, using a palette of materials and colours which are uplifting and welcoming even on a cold, grey winter day. 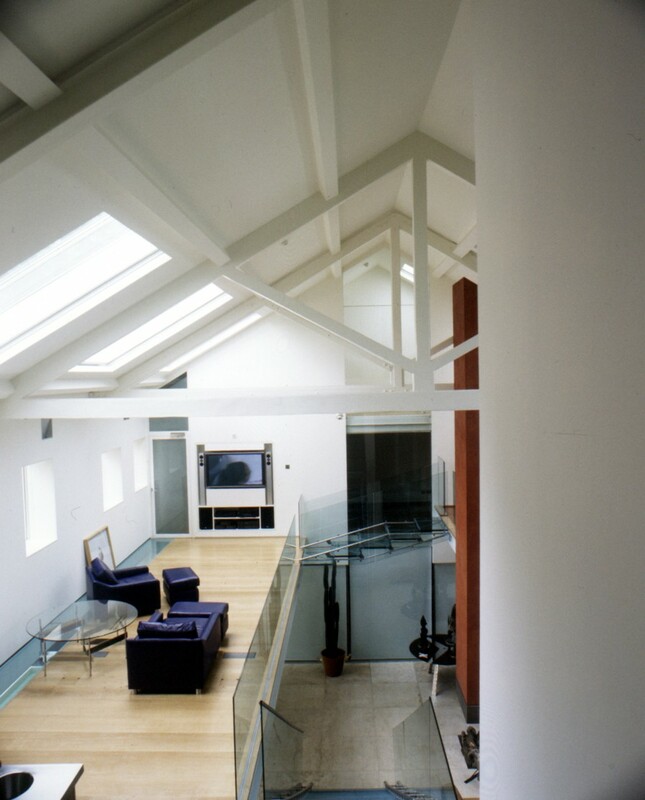 A triple height central space with two mezzanines forms the social heart of the house. This central volume provides dedicated areas for cooking, eating, and entertaining, with a fully integrated home entertainment centre, and large expanses of clear wall area for the display of artwork. A suspended chimney finished in red plaster sits above an open fire and rises dramatically through the triple height space. 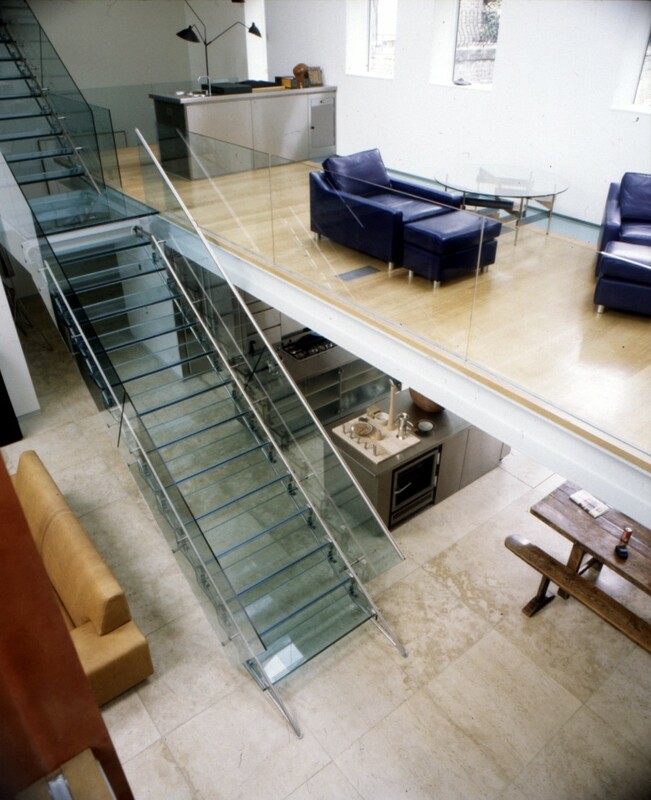 The private areas of the house are arranged in two towers which bound the main living area. One tower provides the client with a generous bedroom, bathroom, study, and wine cellar; the other contains guest suites and a private gymnasium. 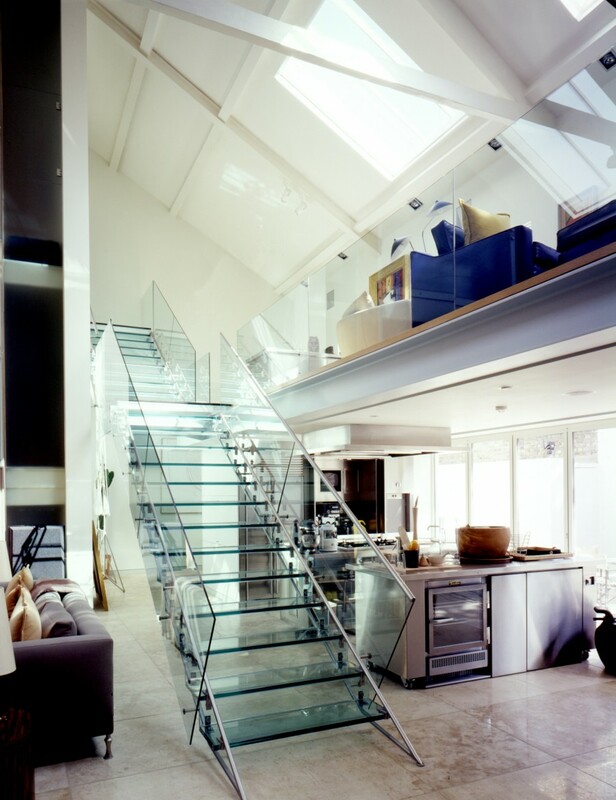 These spaces enjoy added natural daylight through etched glass walls to the central space.